Amateur radio emergency communications groups throughout North and South Carolina and surrounding areas are gearing up for a possibly massive impact on communications infrastructure once Hurricane Florence makes landfall. Below are preparatory notices from two wide-area groups, the Hurricane Watch Net and SATERN, the Salvation Army Team Emergency Radio Network. In addition, local ARES/RACES groups are planning for activations. Hurricane Florence is drawing a lot of concern- for its size and strength, but more so for the potential flooding as it makes land. Over the week, the actual time of landfall has moved closer to the end of this week. Here is our current plan of operation for the Hurricane Watch Net as of 9 AM EDT Wednesday morning. We will *not* have a formal net today (Wednesday) but we will have stations present on both our 20 meter frequency (14.325) and our 40 meter frequency (7.268). HWN will be present throughout the day and evening to talk with stations in the coastal states. We want to log their location, their weather instrumentation and other pertinent information so that when they are actively producing storm reports we already have them in the database. This is valuable because it will speed the reporting process Thursday and Friday as the storm does make land. Formal Hurricane Watch Net operation will commence on both bands at 7:30AM EDT Thursday, September 13. On 40 meters, we will check into the Waterways Net and they will turn the frequency to us when their net is completed. We anticipate 24-hour operation as conditions permit thereafter. Our first priority is bringing weather observations to the National hurricane Center. The Hurricane Watch Net also is ready to assist with other emergency operations (EOCs, shelters, etc.) as needed. Friday and Saturday immediately after the morning training Net (about 1100 (CT) until propagation no longer supports it or the Net Manager closes it for the day. 3. Support of our partners, including emergency communications partners, if needed or requested. People interested in participating can check into the International SATERN SSB Net from 0900 to 1100 (CT) each day or contact the Net leadership team at <WB5ALM@Outlook.com>. This activation beginning on Thursday, 13 September is being initiated based on SATERN’s Hurricane Activation Protocols. The protocol is for one or more Nets within the SATERN Network to be activated in the event of a forecasted landfall by a major hurricane (category 3, 4 or 5) within the area covered by SATERN. The Salvation Army is beginning to stage personnel and equipment in major deployments to North Carolina and Virginia. These assets are coming not only from the North-South Carolina (NSC) and National Capital-Virginia (NCV) Divisions but other Divisions within the Southern Territory (the 15 southeastern states). Depending upon the scope of the impact, it is possible that assistance may be requested from the other Territories in North America as well. Remember - stay safe. Follow instructions of emergency management officials if you are in an area likely to be impacted by this major hurricane. You can't help if you become a storm victim as well. Keep an eye on the CQ Newsroom for additional updates and always listen before transmitting on any of the frequencies listed above. "Does anybody really know what time it is?" the rock group Chicago famously asked back in the '70s, adding, "Does anybody really care … about time?" The answer to both questions is yes, especially today, when so much of what we do, where we go and how we get there are dependent on (our devices, at least) knowing the accurate time. It is perhaps appropriate that I'm writing this while on a (delayed) train, since it was the rise of rail travel that was responsible for standard time zones and the need for accurate timekeeping. The question arises because the nation's timekeeper, the National Institute of Standards and Technology, has proposed eliminating its time and frequency standard radio stations, WWV, WWVB and WWVH, in an effort to reduce its budget for the 2019 federal fiscal year. Obviously, this would have significant impact on us hams, but we would be only a fraction of those affected, unless the funding is restored by Congress. And it looks to us like that is exactly what the folks at NIST are hoping will happen. ﻿The NIST budget request document1 is confusing and self-contradictory, at one point saying the services it provides are unique and then saying some are duplicated by others. And the services it is proposing to cut go beyond WWV and its sisters to include technology for safety of first responders, protocols for the electric grid and more. A clear example of the fundamental and infrastructural nature of NIST's mission work is NIST's work in the dissemination of the time and frequency standards. The dissemination of the time standard, traceable to NIST's atomic clock in Boulder, CO, underpins a tremendous amount of activity in our modern commercial system. For example, NIST official time is used to time-stamp hundreds of billions of dollars in U.S. financial transactions each working day. NIST time is also disseminated to industry and the public through the Internet Time Service which receives about 40 billion automated requests per day to synchronize clocks in computers and network devices. Additionally, other technological breakthroughs that we now take for granted are dependent upon the accuracy and precision of NIST's atomic clocks. This includes cellular telephones, Global Positioning System (GPS) satellite receivers, and the electric power grid. Furthermore … for every tax dollar invested in NIST, almost $50 of value is created in the economy year over year. There is no other private sector, or government entity having the capability, capacity of mission to provide the types of services as those provided by NIST. There you have it … NIST's time and frequency standards and their dissemination are essential to the efficient functioning of our financial system, computer networks, cellphones, GPS location devices and the electric power grid. There is no other private or private or governmental entity that can provide similar services, and every tax dollar invested in NIST pays a 50-fold return to the economy. Specifically … NIST will discontinue the dissemination of U.S. time and frequency via the NIST radio stations in Hawaii and Ft. Collins, CO. These radio stations transmit signals that are used to synchronize consumer electronic products like wall clocks, clock radios and wristwatches, and may be used in other applications like appliances, cameras and irrigation controllers. NIST will (also) reduce funding focusing on assessment of technologies for indoor location tracking of first responders, support for smart grid communications protocols, as well as the development of standards for the smart grid and other cyber physical systems, including the elimination of work on the development of standards and guidelines for wireless communications and process control for the manufacturing industry. Eliminating these services, says the NIST budget request, will permit it to "consolidate and focus work on NIST efforts in quantum science," which is certainly important. On the other hand, the budget also calls for a reduction of $4.1 million "in R&D targeting application of NIST quantum breakthroughs to applied measurement needs, including temperature and atmospheric gas metrology." The proposed budget also calls for reducing or eliminating funding for a program to accelerate technology transfer from federal laboratories to industry, and for several environmental research programs. The loss of time signals from WWV would affect hams and other HF spectrum users in many ways, well beyond setting our station clocks. Several newer digital modes, including FT8 and other "JT" modes, are highly dependent on the computer clocks at each end of a contact being accurate and in sync. The accuracy of internet time is dependent on the speed of your internet connection, which is subject to change, and which assumes that you have an internet connection. In addition, frequency calibration of receivers and transmitters is dependent on a known accurate signal source on a known frequency. You can't calibrate your receiver to 10 MHz over the internet. Plus, WWV's propagation data is very important to atmospheric and space scientists in addition to hams looking for DX. While most of the "atomic clocks" use WWVB, there are a lot of blind and low vision people in the US (millions) who use "talking watches" to tell them the time. I fix many of these watches when they fail. They are cheap, less than $75, so this is just a free public service for those on very limited incomes. I do not charge for my assistance. About 2/3 can be repaired and 1/3 are not fixable due to lack of parts and info. Most use WWVB but a lot use WWV and WWVH. Circuit components are pennies less for those. All come from China or Asia. Getting rid of the 2 big stations will have a significant impact on the blind community. 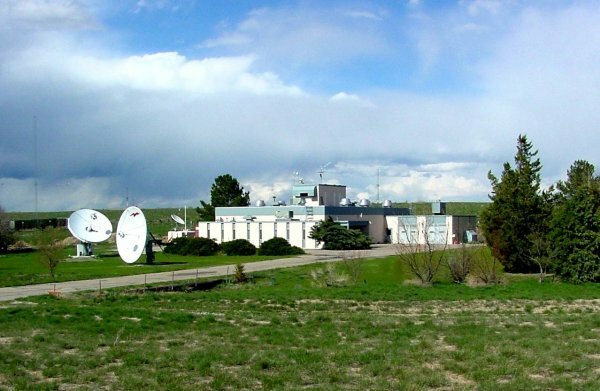 Clearly, the impact of the NIST's proposed changes is broad and wide-ranging, from self-setting clocks and watches to tracking systems for first responders inside hazardous structures, and of course, the on-air time and frequency services provided by WWV and WWVH. Overall, the proposal calls for a nearly 28% cut in NIST's "Fundamental Measurement, Quantum Science and Measurement Dissemination" activities, which are its core missions. The logic behind the proposed cuts is mystifying, as is the structure of the report, which on one hand explains how these services are essential to the country and cannot be duplicated by anyone else, and on the other hand proposes significant cuts to these very programs. All we can speculate by reading these tea leaves is that the Commerce Department – NIST's parent agency – demanded across-the-board budget cuts for the coming fiscal year. Management responded by proposing draconian cuts to its primary missions in the hopes that public outrage would prompt Congress to restore the cuts in the final federal budget. It is the only possibility that makes any sense. Members of Congress – and particularly of those committees responsible for NIST's budget – need to know how their constituents and the nation at large would be affected by these proposals and need to be urged to restore funding for these essential programs. According to the amateur radio club at Case Western Reserve University, these committees are the Committee on Science, Space and Technology in the House; and the Senate's Subcommittee on Commerce, Justice, Science and Related Agencies. The Case ARC lists the members of each of these committees, along with their office phone numbers, on its website at <https://w8edu.wordpress.com/save-wwv/>, which also includes a sample script to read when calling to register your views. You should customize it to your personal uses, and be prepared to answer questions from Congressional staff members about how you use these services and how you would be impacted by their elimination. We urge you to contact your Congressional representatives whether or not they sit on the above committees. Two petitions have been started on the White House's "We the People" petition site calling for restoration of funding for these two essential radio stations. Each needs at least 100,000 electronic signatures by mid-September to generate a response from the White House. 1. The NIST budget request summary for its Fundamental Measurement, Quantum Science and Measurement Dissemination division is online at <https://www.nist.gov/director/fy-2019-presidential-budget-request-summary/fundamental-measurement-quantum-science-and>. © Copyright 2018 CQ Communications, Inc. Permission is granted to reprint this white paper in full with appropriate credit or to link to it on the CQ website and/or the CQ Newsroom.